The new released iPhone 6s/6s plus has been yours and maybe you are enjoying the brand new big screen experience? Can't wait to transfer the previous important and valuable photos to the new iPhone 6s/6s plus so that you can leaf through the beautiful memories like before? iTunes can be your tool but it may be stuck, which makes you be upset? In this case, you will absolutely like to use a more professional iPhone transfer to complete the task. Transferring your old iPhone data including contacts, music, photos, apps and more couldn't be more easier, faster and safer if you have a smart tool Syncios Data Transfer software. 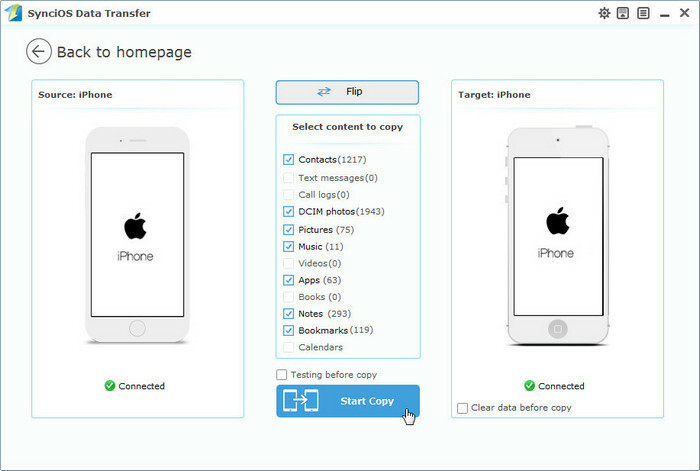 You can directly transfer all data from one iPhone to another iPhone with the Syncios Data Transfer. You can download it below. Note: Please make sure that iTunes is previously installed before starting iPhone to iPhone Transfer, but you do not need to run it when using this tool. Step 1: Launch iPhone Data Transfer tool and connect both iPhones to computer with USB cables. Run the Syncios iPhone to iPhone transfer tool to bring up the starting window. Click on Start to enter Phone to Phone Transfer mode. Step 2: Select the contents you would like to transfer from your old iPhone to new iPhone 6s/6s plus. Now you will come to the connecting window, and please connect your two iPhones via two USB Cables. It may take seconds for the tool to detect your iPhones the first time you use it. Once detected, your devices will be displayed in Source and Target position. Please make sure your new iPhone 6, iPhone 6 Plus is in the Target position. You can click Flip button to change the position if needed. You can clearly see your old iPhone contacts, music, video, photos, bookmark, apps and notes. Select DCIM photos and Pictures to copy all your photos to the new iPhone. Hit the Start Copy button to start iPhone to iPhone transfer. It may take some time to transfer the photos from one iPhone to another. Please ensure that two iPhones are kept connecting with computer in the transferring process. Click OK when it’s completed. Note: Transfer from iPhone to iPhone directly won't delete current data in the target iPhone. 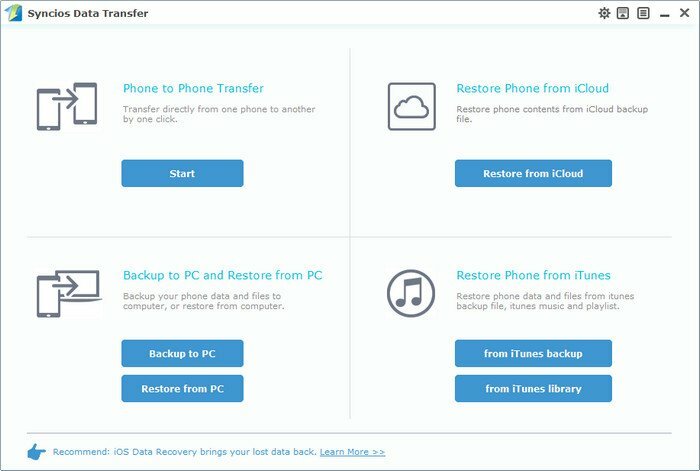 How to Transfer Photos from old iPhone to the New iPhone 5S? How to Transfer Android Photos to iPhone Freely?